Hey Denver, Summer is here, and the temperatures are rising by the day. 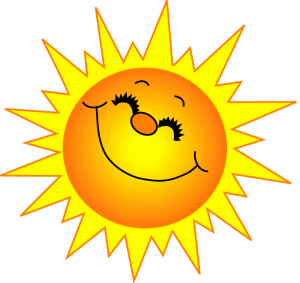 Do you want to keep your family cool and comfortable all summer long with air conditioning Denver? 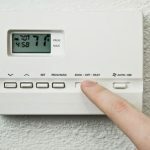 Use a programmable thermostat to keep your home cool when you’re gone—While you don’t want your AC blasting the whole time you’re gone, you also don’t want to shut it off completely. If your home gets too hot while you’re gone, you have a hard time cooling it back down. Use a programmable thermostat from Sanders and Johnson to keep the temperature in your home cool when you need it during they day. Change your filter regularly— Have a dirty filter? You be breathing dirty air and your AC won’t cool your home as effectively. Remember to clean and or replace your air filters every few months. Proper Use of the Ceiling Fans—During the summer months, your ceiling fans should be turning counter-clockwise to provide a downward breeze. Reverse this for the winter months to push heat down. Keep heat from coming in through the windows— As you know, heat passes through windows fairly easily. This can cause your house to heat up rather quickly. You can reduce this by keeping your blinds and shades closed during the day. Every little step you take can keep your home a little cooler. Maintain your AC properly— An Annual inspections from a professional air conditioning service company will keep your AC working properly all summer long. For all your Denver air conditioning maintenance and repair needs, trust the experienced team at Sanders & Johnson. Contact Sanders and Johnson your Denver Heating and Cooling Experts for more help today!